Main galvanizer of Barcelona’s vibrant post industrial scene as musician, producer, promoter and founder of the label and space Màgia Roja, Viktor L.Crux has toured Europe and the US several times with Futuro de Hierro and past bands Ordre Etern and Qa’a with 150 shows abroad. Collaborator of Jochen Arbeit (Einstürzende Neubauten), Nurse With Wound and various Gnod members ,between others, he also Djs under the moniker Comisarios de la Luz with almost 200 sessions in the last two years. 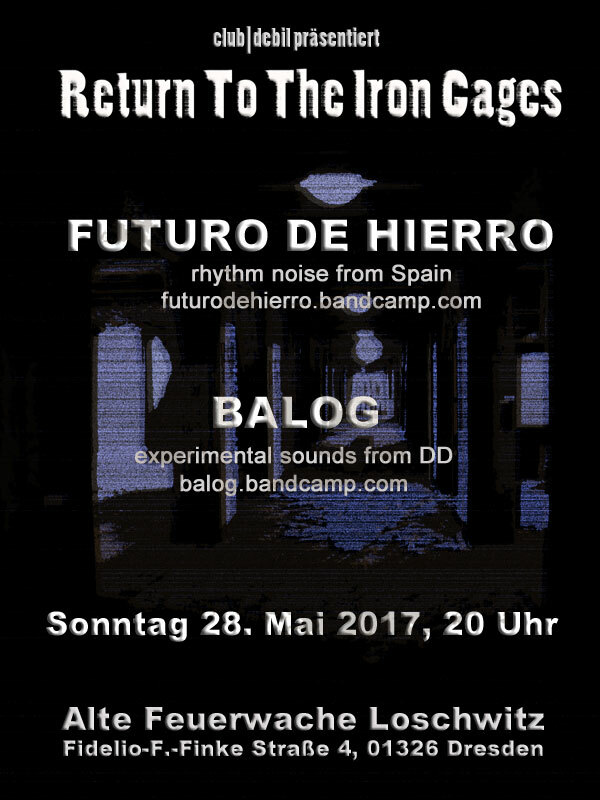 With Futuro de Hierro he mixes the legacy of Esplendor Geometrico and Throbbing Gristle and the heavyness of Swans or early Laibach and transcends the nihilism of the genere creating a cosmogony of songs where the personal, the esoteric, the present and the future intertwine. His live shows are a visceral and energetic deal, a hands-on approach to electronic music with an unseen control of rythmic feedback, dynamics and noise. He will be presenting his last LP „Un Paso en el Vacío“ released between Màgia Roja and Opal Tapes in early 2017.